Just some pics of Alice having fun this weekend. 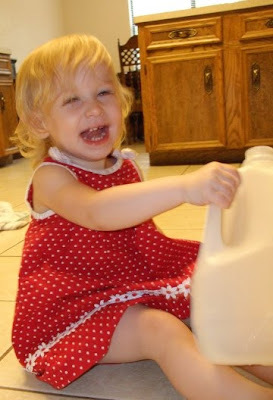 Who knew a milk jug could be so fun??? Imitation is the biggest and best form of flattery! 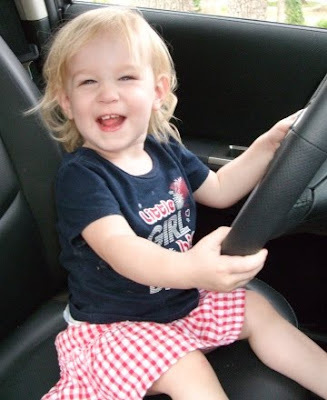 I love the one of her driving - it's my new background.